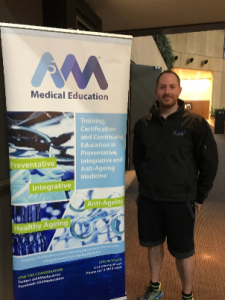 On Sunday the 6th of August Daniel Lowrey (Accredited Exercise Physiologist & Managing Director of Strong & Stable) had the pleasure of presenting at the 11th Annual A5M Conference for the Academy of Anti-Aging Medicine Conference in Melbourne. The conference program featured a series of dynamic and innovate key leaders in the industry who have played a significant role in shaping the direction of the industry and pioneering the anti-ageing and personalised medicine movement, both locally and internationally. Daniel was asked to present twice for both a practical session and a theoretical based presentation. 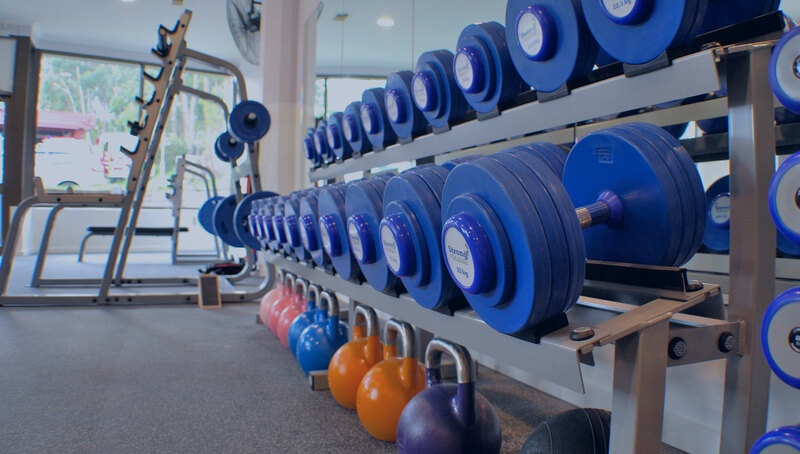 The practical session enabled attendees to practice self myofascial release and movement allowing them to experience first hand the change the power of mobility and Exercise Physiology. 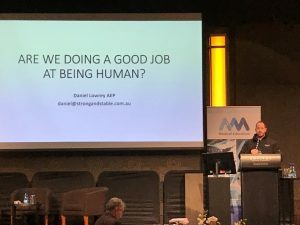 During the theory based presentation titled “Are we doing a good job at being human” Daniel discussed his core belief of optimising joint position prior to movement to maximise human potential. 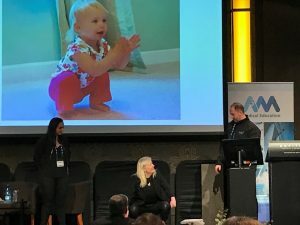 Daniel received fantastic feedback by a number of leading health experts who attended the conference and has been asked back to present again in 2018. Strong & Stable would like to congratulate Daniel on his presentation.